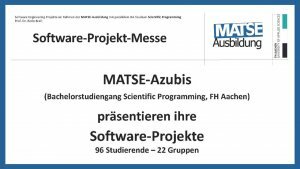 On March 8, 2019, the MATSE apprentices present their current projects in the foyer of the new building of the IT Center of the RWTH. DTV-Verkehrsconsult GmbH will be represented here with the project: “Web-based vehicle classifier for the subsequent correction of vehicle type distributions in the context of traffic counts”. 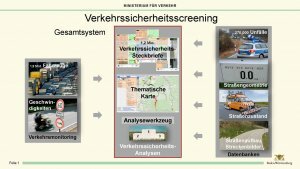 The “Road Safety Screening Baden-Württemberg” came first in the category “Best Infrastructure Project” in the 2018 eGovernment competition. Read the Press Release of the Ministry of Transport Baden-Württemberg here. The project is funded by the Federal Ministry of Transport and Digital Infrastructure (BMVI) as part of the mFUND research initiative. 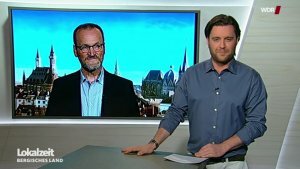 On 20.04.2018 Dr. Hartmut Ziegler was a guest at WDR Lokalzeit Bergisches Land for DTV-Verkehrsconsult GmbH. 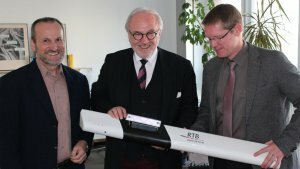 The reason was the explanation of the evaluation of motorcycle noise measurements on behalf of the city of Wermelskirchen. These became necessary in order to investigate complaints from citizens and to be able to derive effective measures against the high noise pollution. 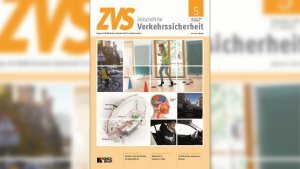 In the November issue of the Zeitschrift für Verkehrssicherheit (Kirschbaum Verlag), Dr. Thorsten Kathmann published a summary of 10 years of recording the rate of drivers using lights during daytime. The basic idea of continuous recording the rate of drivers using lights during daytime is described using the survey methodology applied. The focus is on the new quality assurance measures. Finally, the time series determined so far are analyzed. 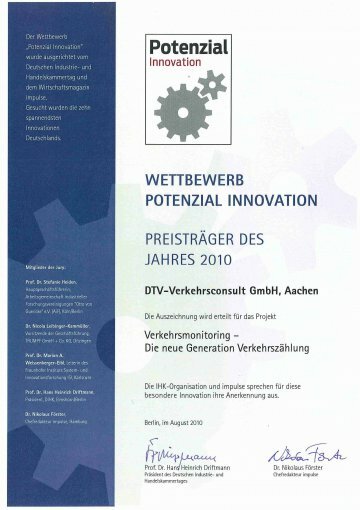 In 2017, as in previous years, DTV-Verkehrsconsult GmbH again applied for the DEKRA AWARD in the category “Safety in traffic”. The aim here is to sensitise people to the danger in road traffic. Unfortunately we missed an award in 2016, but of course we congratulate the winners. For this we use the most modern automatic counting techniques that we also test and verify in pilot applications on behalf of device manufacturers. Besides traditional induction loops we use the (side) -radar technology, Bluetooth and WiFi as well as video analysis using license plate recognition. And we also conduct surveys and individualized interviews manually. The analysis of these data in terms of the desired traffic characteristics is our “bread and butter”. Determining the Annual Average Daily Traffic (AADT, in German; DTV) is THE key value, to which we have dedicated our company name. Since our founding in 2004, we analyse traffic data. Our specialist knowledge in the interpretation of traffic volumes, traffic composition, lane distributions and speed, daily, weekly and annual fluctuations we put to use in the design of short and long time counts, as well as in permanent counts. Thus we can ensure the highest quality standards. Our analysis, secures a comprehensive and neutral view of the traffic situation. This analysis can be used to support planning applications. We provide our special knowledge particularly to highway authorities, unity authorities, universities and other public authorities. We also support private organisations at home and abroad. Besides Germany we have so far worked on projects in Austria, Switzerland, Poland and Israel. Today our company employs 11 permanent employees, with four traffic engineers. In addition we provide an apprenticeship training position for a mathematic-technical-software developer. Research fellows from the RWTH Aachen University as well as from the FH Aachen University of Applied Sciences support our work. Since the automatic data processing got more and more challenging over the last years we are now proud to have an effective IT-team with four dedicated software developers in our company. Our IT-team is also supported by trainees and student assistants. 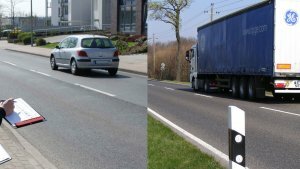 One of our first projects consisted of the analysis and evaluation of the nationwide German Road Traffic Census 2005. Based on the experience gained during this work we developed the counting technology of the “Traffic Monitoring” in cooperation with the German federal state of Baden-Württemberg. Instead of a manual counts with in traffic monitoring counting devise based on side – radar technology are used which are in place for at least a week and then transferred to the next location. Initially traffic data is usually collected and analysed for statistical issues. Beyond that it is used as an essential basis for various questions. In short these are the fields of operation and traffic planning, road safety and accident research. The improvement of traffic safety is on the one hand supported by systematic analyses of the accidents which occur. On the other hand methods aiming at accident prevention also play an essential role. With the innovative data and analyses platform of the “Traffic Safety Screening” in Baden-Württemberg we were nominated for the DEKRA Award 2015 in the traffic category. New key aspects in our work are currently developed in the analyses of long-range traffic streams, for example mileage survey and travel time measurements. Our business is continuously developing. Our aim is to keep on testing, evaluating and using innovative technologies. In our daily work we aim at getting high quality results for the relevant traffic parameters in the most efficient way. Our highly motivated and experienced team likes to face new challenges. Do not hesitate to request us! In our company the customers have top priority. We act on the maxim to assure you of high-class quality, reasoned concepts and timely delivery of results. We strive to make our work as transparent as possible for you. You should not wait for us! The DTV-Verkehrsconsult GmbH holds a modern network with windows-based server. The installed hard drives are continuously backed-up, to prevent the loss of data. All employees have own desktop-computers or laptops of the latest generation at their disposal. Besides a high speed internet connection we also have server resources in a data processing service centre in Germany available, which ensures a quick, secured and failsafe data availability. Next to the standard software of Microsoft Office the programme package DAUZ and Traffic Count Management (PTV-TCM) is available for processing and evaluation of the data from automatic classifiers. To determine and analyse the results of manual short time counts we use the software HRDTV-Pro. The generated data (i.e. the AADT) is then suitable as input parameters for other programmes such as Arcady, Picady or Oscady. Graphics are generated Corel-Draw. For the examination of whole road networks and especially for the illustration of different values (e.g. traffic volumes) the software MapInfo is available. Furthermore we use free accessible maps like OpenStreetMap, in which we add different traffic information by using self-designed layers. These are provided in a password secured area on a special platform. Currently an independent map server is under construction. As tools for traffic planning we are using the software PTV-VISUM and VISEM. Additionally, we developed several calculating and evaluation routines for the analyses of traffic situations, the determination of traffic generation as well as for capacity analyses. The adaption to the latest Highway Capacity Manual, the German technical guideline HBS 2015 (Handbuch für die Bemessung von Straßenverkehrsanlagen) has already been implemented. As well as software, our company owns side radar systems of the latest generation from the manufacturers Sierzega GmbH and RTB GmbH & CO. KG. In the field of video counting we can provide detection systems from Miovision, were the cameras are mounted on an up to 6 m high columns next to the roadside. The recorded videos can be evaluated automatically after finishing the survey. For technical maintenance of automatic classifiers, as well as for traffic surveys. We use a specially equipped car, where an illuminated warning sign is installed on top of the roof. All of our employees are qualified in accordance with MVAS (technical bulletin for the required knowledge for traffic safety during roadworks) to guarantee safety during our work. Depending on the definition of the project we work together with institutes of university, other engineering offices and manufacturers of counting devices. In doing so it is important for us to bring in our core competences to the project. With manufacturers we maintain neutrality, but stand behind innovative practice, suitable ideas and products. Besides, it is sometimes possible to realize concepts in cooperation with the industry which offer new opportunities especially in the sector of research. We are a highly research orientated company, which has successfully finished several major research projects on behalf of the German Federal Highway Research Institute (BASt) as well as for other federal and regional ministries. This was and still is possible due to our investigation approaches, innovative ideas and the courage to consider new ways of thinking and working. Guidelines for Cost-/Benefit analysis of Roads (RWS) (original: “Richtlinien für Wirtschaftlichkeitsuntersuchungen an Straßen RWS”) (still in cleartance).